AI applications are already being used by mega-sized corporations, but many small business owners have yet to dip a toe. Well, the water’s fine, and we recommend you start checking out the many AI tools flooding the market. With these, you can make better use of marketing data, improve your social media strategies, make your communications more efficient, and much more. Here are five apps that will make your days more productive. If you find that you spend too much of your time arranging meetings and communicating with customers, vendors and employees, let Amy help you out. Amy is a chatbot – a personal assistant with the ability to schedule meetings. It works like this: When you get an email requesting a meeting, Amy goes to work arranging the location, time and other details, and then distributes the information through whichever communication channels you choose. There are free and paid versions of Amy. If you have a lot of meetings each week, check Amy out – she’s a winner. Even if you use a professional writer for your blogs and website content, you might still be responsible for many types of written communication to investors, customers and others. Whatever your writing chores, Grammarly will improve your output. It’s more than a spellchecker. Grammarly uses machine learning techniques to recognize semantic and stylistic errors, improper sentence structure, and many other nuances that were once the exclusive province of professional editors. Grammarly helps to perfect your written communications, which improves your business’ trustworthiness and professionalism. If you would like better strategies for closing sales, People.ai can help. It employs natural language processing (NLP) to examine emails, transcripts of phone calls and meetings, calendars, WebEx and other sources to find successful interaction patterns. It then generates a model indicating ways to close deals, and monitors salespeople for their adherence to the model. People.ai helps remove unproductive behaviors from your sales team’s interactions, drive intelligent sales management and increase marketing visibility, thereby boosting efficiency and, hopefully, revenues. Don’t kill the lawyers, automate them. Or at least, apply a little AI to help you understand complex contract language. Through deep learning and NLP techniques, Legal Robot creates models to help you understand opaque legalese found in a broad range of contracts. It will even help you edit your contracts to make them more readable and consistent with best practices. Legal Robot can also find risks and blind spots hidden in dense contract language. Check out Legal Robot before you sign your next contract. Is there anything worse than trying to take notes during phone calls or remembering long conversations? Tetra AI deploys impressive NLP and speech recognition algorithms that create searchable meeting notes from phone calls. It creates a full transcript plus a detailed summary of the conversation that allows you to search for keywords. Tetra even supports two-way speaker identification, so that you know who said what. Has your company grown to the point where you are ready to make a sizeable commitment to information technology? Procuring hardware, software and skilled workers is expensive. Let IOU Financial lend you the working capital to finance your automation strategy. We offer favorable terms, quick funding and easy repayment. In other words, IOU Financial is the intelligent solution to your funding needs. https://ioufinancial.com/wp-content/uploads/2018/01/business-ai-header.jpg 280 765 Kaitlyn Hammond https://ioufinancial.com/wp-content/uploads/2016/06/IOUFinancial_HeaderLogo-300.png Kaitlyn Hammond2018-01-30 06:03:592018-01-30 09:57:31Is It Time for Your Business to Try Out AI? An American College survey of business owners found that 60 percent of respondents have not met with a financial advisor, and few had developed contingency plans for future events that could affect their businesses. A financial advisor has the expertise and experience to help you maximize the effectiveness of your capital investment in your business, and meeting with one can be quite beneficial. A financial advisor can help when you suddenly find your business facing an unexpected cash crunch. The advisor will help you work out your options for plugging the cash gap in the short run and preventing it in the future. One alternative is to acquire a working capital loan, such as the ones we provide at IOU Financial. Short-term loans provide the liquidity you need to continue operations, and the cost is quite modest compared to the consequences of not paying your bills on time. Good news can also trigger the need for a business advisor. One happy scenario is that your business is doing better than expected and your owner’s equity account is growing must larger than anticipated. You’ll want to speak to an advisor to see how to put that extra cash to work in a tax-friendly way. Sure, you could simply withdraw it, but that will create a personal tax liability. An advisor can help you look at different alternatives to grow your business, such as extending your geographical reach or expanding/enriching your product mix. You might want to hire additional employees or move to a better location – these alternatives require careful planning that a business advisor can provide. Sometimes, opportunity knocks and you’re not quite ready. For example, a key competitor might approach you with an offer to let you buy it out. Or a sudden deal becomes available that would let you significantly increase your inventory at a highly-discounted cost. A financial advisor can help you work out how to take advantage of the opportunity in the most efficient way. Once again, a short-term loan might be the answer. IOU Financial can lend you up to $300,000 to grow your business at an affordable cost. Opportunities don’t come along that often. Be prepared to seize them, and to do so in the most efficient manner. A business financial advisor should be brought in well before your retirement date to help work out how to sell the business and how to best use the proceeds of the sale. For example, it would be nice to minimize the tax impact of a big payout. A financial advisor can show you alternatives like trusts, charitable contributions and tax-sheltered accounts. It might require you to restructure your company before you sell it in order to reap the best after-tax benefit from its sale. Maybe you know your business more than you understand finance. As your company grows, you might find yourself paralyzed by financial ignorance. Hire a business financial advisor to break the logjam and get you moving in a positive direction. Don’t mismanage your success. Don’t be afraid to get help before your sweet business turns sour. While some people will walk into a salon without knowing anything about it, most people want some kind of referral. In the past, we had to rely on our friends, family members and colleagues. In today’s world social media is king when it comes to referral sources. As a salon is a brick-and-mortar business, you must concentrate on the individuals in close proximity to you, as they are your most obvious customers. Apps such as Nextdoor and local groups on Facebook are great resources to connect with your neighbors. Stay on top of these groups – answer questions in which people may ask for services such as those your offer, or inquire about advertising opportunities on these groups. To motivate your current clients to refer your salon to their network of friends, simply offer them a reward! You can offer a special discount or a free service or product for any customer who brings in their friend! Reward top referrers with special prizes to encourage them to keep spreading the word. Social media can also play a role in this strategy. Ask your clients to post reviews, upload photos and recommend your business on their social media accounts. Many small business owners turn to influencers, or individuals with large social media followings, to market their services. The problem is that strategy is typically expensive, and it doesn’t target your local audience. Instead, spend your efforts to become an influencer yourself! Create a YouTube channel, start an Instagram account or open a Pinterest account to share your expertise in a given area—makeup, hair, nails or hair removal services. With the right photos and videos and relevant advice, you can become an expert in your field and lead new customers to come to you instead of searching for them! Another way to achieve brand recognition in your neighborhood is to get involved in your community. Sponsor a local school event, a charity or a little league team. Organize a park or beach cleanup event to do something good! If you can get local media to cover the event, and create some posters or make T-shirts, that would be amazing advertising for your business. Investing into marketing strategies to bring in new clients is never a bad idea. However, if you don’t have the financial means required, IOU Financial is ready to help. Contact us to learn how you can get qualified for a small business loan of up to $300,000 in just 24-48 hours! Becoming a business owner can be a dream come true, offering freedom and flexibility away from the rush and bluster of a traditional 9 to 5 work week. It can also be an extremely frightening proposition depending on where your expertise lies. And for most people, their expertise is not in finances. Taxes, cash flow, and payroll deadlines can cause stress for many owners and make it difficult to understand where the business stands. For small businesses, these factors play an even larger role in the health of the business than larger enterprises. Starting a small business requires a certain amount of guidance and resources. There are several accounting challenges that will have serious and costly consequences if a business owner doesn’t fully understand their role. Before they ever hire their first employee, a business owner needs to know their place with local and state governments. There are also standards that must be met that ensure payment standards, vacation and benefits for your employees, severance pay, payroll deductions and plenty more. Any small business owner will face these, so it is crucial to understand your role, what you will be required to – and ethically should – provide employees, and what effect it will have on your budget. Ignorance will not save you from state and federal laws, so be sure to become familiar with what your responsibilities are. The United States’ Small Business Administration is a great place to begin learning your responsibilities on each level of government jurisdiction. Issuing paychecks and paying payroll taxes is just half of the requirements in payroll accounting. There are federal and state requirements concerning the reporting of quarterly payroll taxes. There needs to be a clear understanding of which taxes are reported on specific reports and whether these taxes are at the state or federal level. The Internal Revenue Service does a good job of keeping these dates clear on their website. If a business acts as a collection agent for sales or use tax, there are also laws requiring the remitting and reporting of these taxes. The local state tax department will be the best source for answering questions about deadline dates and methods of reporting. The ebbs and flows of cash management can be a headache for any accountant – and especially so for a small business owner. Staying on top of cash flow requires meticulous documentation, recording all receipts and disbursements regardless of size. Banks are very good at keeping up with these things; it is their job, after all. When in doubt, record all the expenses and sales your business earns and consult with the bank that handles your accounts. Depending on the complexity of your business’ cash flow, it might even be worth consulting a financial advisor to properly plan goals and become more knowledgeable about your cash flow. Paying employees on time must be a high priority of any business, large or small. There are federal and state laws that dictate when an employee must receive their pay, so cash flow management must set aside funds for payroll. Along with the actual disbursement of paychecks, there are also crucial deadlines for remitting payroll taxes. These deadlines can be both on the federal and state level, so each category of taxes must be dealt with in a timely manner. Most payroll taxes require submission electronically; luckily, there are software systems – such as Sage Peachtree, Quickbooks, and more – available to automate this process for you as well as record your expenses. Finally, you need employees who you can rely upon. That means planning a payroll budget that measures how much help you’ll need, what skills they’ll require, as well as a fair market assessment of what those skills are worth. As a small business owner, it can be difficult to know what that fair market price for employment would be. Those metrics will rely on the market that you are in as well as the general value of those skills. A salary too low may experience much more turnover than you’d prefer as well. Fit Small Business lists several free tools that will allow you to fairly assess what a competitive salary in your field looks like. A small business’ finances can be a difficult aspect of business to manage. But with proper documentation, automation, and research, you can tackle each of these issues and flourish as your own boss. If you need help affording a payroll and/ or accounting system or require financial assistance to pay off your business taxes, turn to IOU Financial. Our hassle-free small business loans of up to $300,000 can be in your bank account in under 48 hours! Contact us today! 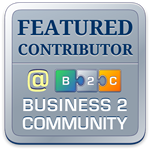 Alex Briggs is a contributing writer for Rising Path Accounting. You should have short-term objectives and long-term goals that will keep you motivated every day. Your goals should be timely, realistic, measurable, attainable and specific. That means you should have a plan, preferably written-out, on how you’ll achieve your goals. Prioritize these plans and then track your progress against them, using a spreadsheet or word document. Include assets, liabilities, income, expenses and equity. Use the IOU Financial Business Budget Smart Sheet as your starting point. Pick out areas where you want to save money, and periods of seasonal challenges that might require an infusion of working capital. We at IOU Financial can help arrange quick financing when you need it, with easy payback terms, so keep us in mind when you lay out your monthly budgets. Track your actuals against your projections and try to keep it real. You might need to send money out, in the form of payments to employees, contractors, suppliers, taxes, etc., before the money comes in from customers. That’s why you need a daily rundown of cash flows and have sufficient reserves when revenues are late or debts go bad. That’s another reason to establish a relationship with IOU Financial. Lack of liquidity kills businesses, so stay on top of your cash flows and recognize potential early. Managing your money doesn’t mean you have to be a tightwad. You should spend some of your profits to grow and strengthen your company. Send key employees for training, improve your equipment and facilities, hire marketing professionals and attend business events. The up-front costs will more than repay themselves with new opportunities. Owners like to dream about all the things they want to do to make the business bigger and better. Never give up on your dreams, but always address your needs first. You might have to sacrifice the ideal for now in order to attain it later. This will reduce your risk of unplanned spending for things you don’t really need now, freeing up capital for later use. Debt is a tool, to be used wisely when needed and to be paid off when feasible. Look upon the interest you pay as another cost of doing business, one that allows you to meet your obligations and keep the doors open. When you take out a business loan, come to a lender like IOU Financial that will get you the money quickly without a lot of paperwork. We offer a unique daily repayment method so that you never are faced with a mountainous monthly payment, and you can refinance with us after you repay 40 percent. Always insist on affordable rates, no upfront fees and no prepayment penalties – that’s how we operate and so should you. Consider disability insurance that will keep the money coming in if something untoward happens to you. Business owners typically don’t get paid sick leave or worker’s comp, so they need a way to protect against the unforeseen. Disability insurance can help you overcome a temporary disability that would otherwise torpedo your business. Remember, IOU Financial is here to help you when you need money fast. Add us to your speed-dial list for 2018 (1-866-217-8564) and worry a little less about the future.